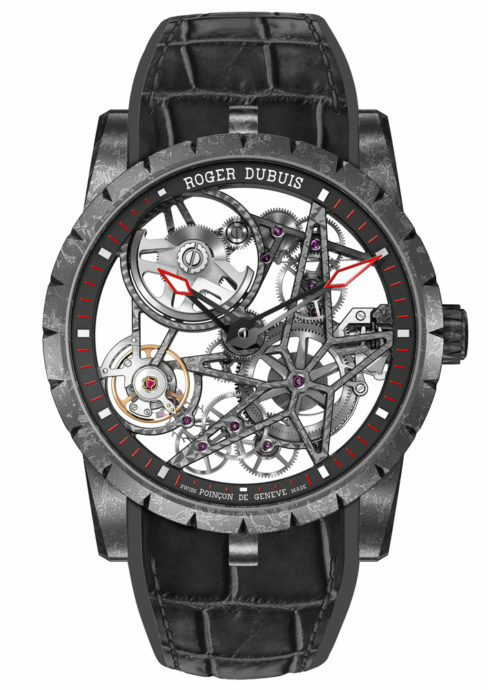 More than just a manufacture, Roger Dubuis contains a world of its own. A world where exuberance and creativity reign supreme. The Excalibur, EasyDiver, KingSquare, and GoldenSquare collections all testify to perfectly mastered exuberance. These models are instantly recognizable and share common design codes: the oversize cases with transparent backs, the imposing crowns, the stylized roman numerals, and the three lugs attaching the strap to the case. 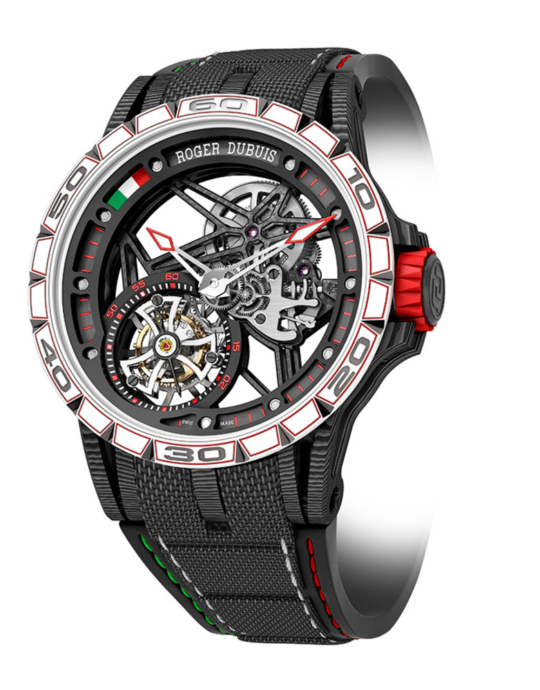 In introducing a modern style of watchmaking to a sometimes stuffy industry, Roger Dubuis has pushed the boundaries of what a mechanical wristwatch can be. 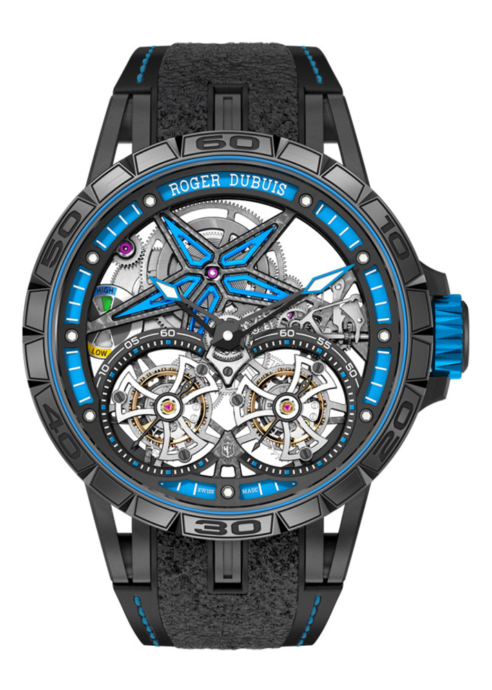 More than just a manufacture, Roger Dubuis contains a world of its own. 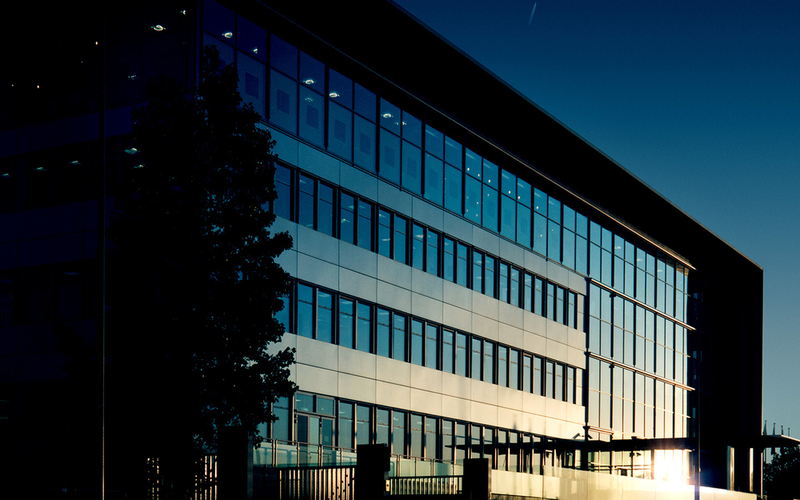 A world where exuberance and creativity reign supreme. The Excalibur, EasyDiver, KingSquare, and GoldenSquare collections all testify to perfectly mastered exuberance. These models are instantly recognizable and share common design codes: the oversize cases with transparent backs, the imposing crowns, the stylized roman numerals, and the three lugs attaching the strap to the case.